The US Food and Drug Administration (FDA) has approved a single-dose prefilled autoinjector for tocilizumab (Actemra) as an additional formulation for the treatment of adult patients with rheumatoid arthritis (RA) who have had an inadequate response to disease-modifying anti-rhheumatic drugs (DMARDs). The ACTPen 162 mg/0.9 mL, from Genentech, was also approved for the treatment of adult patients with giant cell arteritis (GCA). 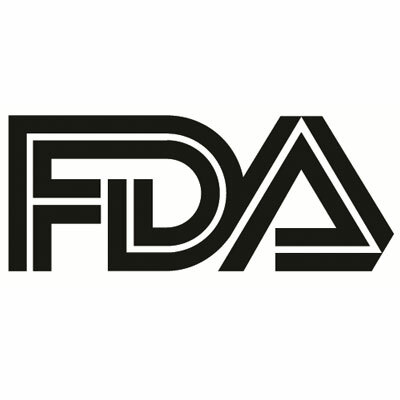 An intravenous infusion formulation of tocilizumab was initially approved by the FDA for adults with RA in January 2010, while a subcutaneous injection formulation was approved for the same patients in October 2013. The latter formulation became the first therapy approved for adults with GCA this past May. The device can also be administered by caregivers to patients 2 years and older with active polyarticular juvenile idiopathic arthritis (PJIA) or active systemic juvenile idiopathic arthritis (SJIA). The ACTPen was approved on the basis of a pair of clinical trials presented at the 2018 American Society for Clinical Pharmacology & Therapeutics Annual Meeting. The first, an open-label, randomized, crossover phase 1 study, investigated the relative bioavailability of single injection tocilizumab 162 mg via prefilled syringe with needle safety device to a single injection of the same therapy via ACTPen in 188 healthy participants. The second trial, an open-label, non-randomized, observational phase 4 study, investigated the safety and efficacy of ACTPen administration by patients, caregivers, or healthcare providers in 54 adults with RA. Study results showed single-dose subcutaneous administration of 162 mg tocilizumab via ACTPen was bioequivalent to administration via currently marketed prefilled syringes, and that the intended users of the device were successful in administering doses. In both studies, tocilizumab-associated adverse events were consistent were those observed in the therapy’s safety profile. RA, prevalent in about 1.5 million people in the US, is characterized by chronic, progressive inflammation of the joints and surrounding tissues, resulting in swelling, pain, and potentially irreversible destruction and complication to the joints. GCA, also known as temporal arteritis, is estimated to affect about 228,000 people over the age of 50 in the US. It is more prevalent in women, and can cause severe headaches, jaw pain, and visual symptoms. Untreated patients develop blindness, aortic aneurysm, or stroke. As the first humanized interleukin-6 receptor agonist approved for the treatment of adult patients with moderate to severe active RA who have used DMARDs, tolicizumab has been previously observed in a Genentech clinical development program including five phase 3 trials and 4000-plus patients with RA from 41 countries. Sandra Horning, MD, chief medical officer and head of Global Product Development for Genentech, expressed the belief that patients should have options, when possible, as to how they administer their medicine. “With ACTPen for Actemra, we are pleased to offer an additional option to patients who may prefer using the new autoinjector over other formulations,” Horning said. ACTPen is expected to be available in January 2019.